Scott Design & Construction - Drainage Retaining Walls in Allen and McKinney Texas! While not at exciting as an outdoor kitchen or cabana, drainage might increase your quality of life more. Scott Design & Construction has been installing drainage systems for more than 15 years, from French drains to swells and sump pumps. We can access your drainage problems and come up with a solution to move water efficiently away from your property. 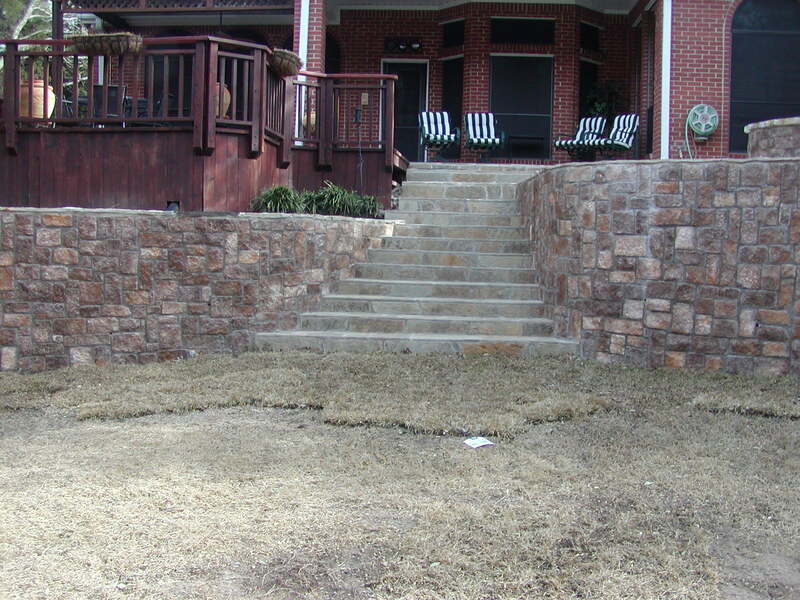 We install retaining wall from 12″ to 12ft to both enhance your property and increase the usable space. Many times adding a retaining wall will double the usable space in an area by making the area level. We can build retaining walls out of natural stone or wall block and know how to allow for proper drainage and footings to ensure the wall is stable.